We are aware that a bond is a fixed income instrument issued by the companies inviting the investors to subscribe to the issue. In other words, the total amount raised by a company through the bond issue is a loan taken by the company assuring the investors of some return in the form of interest. We also know that a company pays a coupon at a predetermined interval.ie annually and semi-annually. In the normal course of business, the company is expected to return back to the investors the amount of loan that they have advanced to the company. 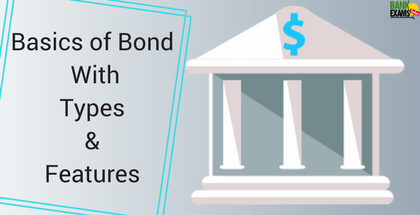 Unlike stocks, bonds can vary significantly based on the terms of the bond’s indenture. An indenture can be defined as a legal document which describes the characteristics of the bond. The issue pertaining to each bond is different and hence it is very important from the point of view of the investors to understand the intricacies and precise terms well before investing in the bonds. The following are some of the important features an investor should examine well before taking the final decision to invest. This is one of the most important features which may affect the investment decision. Generally, an unsecured bond is termed as a debenture. The return on the debenture is guaranteed only by the credit rating, reputation and integrity of the company. If the company is not able to generate profits & run successfully the investors do not get any returns as interest income. In some cases, there may even difficulty in getting back the money that has been loaned to the company. A secured bond, on the other hand, offers some protection to the investors as some assets are earmarked as security for the debentures issued. In the event of the company not honouring its obligations, the debenture holders have the first charge on the assets which have been already earmarked. In the eventuality of a company being wound up there is a particular sequence or order in which assets are realized and creditors are paid their dues. This is referred as a preference for liquidation. After the firm has sold off all their assets the company begins to return the money back to the investors. The senior or oldest debt is paid first, then the subordinated debt next. Subordinated debt can be defined as a loan that ranks below other loans or securities with regard to claims on the assets of a company. Preference shareholders are next on the list and finally, the equity shareholders who are the real owners of the company are paid whatever is left over. Most of the bonds issued by the corporation are taxable instruments. However, there are certain exceptions. Bonds issued by Governments or municipalities, Companies which are engaged in infrastructure or power may enjoy the status of being issued as non-taxable instruments meaning the capital gains realized on the bonds are tax exempt. Since no tax is payable by the investors these bonds normally carry a lower rate of interest than equal taxable bonds. An investor must calculate the tax equivalent yield to compare the return with that of taxable bonds. Coupon and maturity are also other important characteristics of a bond. Most of the Bonds which are issued by the Corporate or by the Governments have certain common features. The face value of the bond which will be worth and available to the holder at the time maturity. This is the reference amount based on which periodical interest payments are made by the issuer of the bonds. For example if “A” purchases a bond with a face value of Rs 1,000 at a discount & his purchase price is Rs 950 & “B ” purchases the same bond at a premium and assuming his purchase price is Rs 1,050, both the parties will ultimately receive only Rs 1,000 at maturity which is the face value of the bond. The coupon rate is the rate of interest which is payable by the corporation who is the issuer of the bond. This is expressed as a percentage. For example, if a bond is issued at a coupon rate of 5% the purchaser of the bond will receive Rs 50 annually as the interest payment. Coupon dates are the dates on which interest payments are made by the issuer. Typically it is common for issuers to make the payment half-yearly or annually. Maturity or due date is the date on which a bond matures for payment and the issuer has to effect payment for the face value of the bond. Features of a Bond: Two of the most important features of a bond is their credit quality and tenure. They determine the rate of interest payable. If the issuer of the bond is assigned a poor credit rating by the rating agencies the risk of default is quite high and the bonds issued by such corporate is likely to trade at a discount to the issue price. There are certain bonds referred as “Junk Bonds” which are highly risky in nature, but they pay a very high rate of interest and are suitable for investors who have the appetite & do not mind taking risks in order to get a higher return than what the market offers. On the other hand, bonds issued by Sovereign Governments do not have any risk as they are guaranteed by the government & these bonds are referred as stable bonds. Credit ratings are calculated and issued by credit rating agencies. The maturities of the bonds may be for a very short term like a day or two and go up to as high as thirty years. The longer the maturity of the bond or duration the greater is the chance of some adverse development happening which will have an impact on the repayment and hence bonds with long-dated maturities always commands a higher rate of interest than a short-dated bond. Further, the liquidity for a long-dated bond will be very low as compared to a bond with a short maturity. An investor before adding a bond to his portfolio of investments will typically consider the duration ie.price sensitivity to changes in interest rates and convexity which is a measurement of how duration changes as yields change. We know that a bond is a fixed interest security which is issued by the borrower (Corporate or Government) and the funds are invested by the investor usually through the intermediation of a group of underwriters. There are a variety of bonds available in the market & let us try to understand the types of bonds. This is also known as the straight bond which has a coupon and repayment of the principal in full at maturity. This type of repayment is known as bullet repayment. A very large number of variants of the straight bonds have evolved over a period of years. Bonds are generally issued up to a maximum tenure of thirty years. Bonds with maturities at the shorter end (7 to 10 years) are often called as “Notes”. At the time of the issue, the issuer will incorporate a clause which will give him the right to redeem the bond at his choice prior to its maturity. The first call date would normally be some years from the date of issue; eg a fifteen-year bond may have a call provision which allows the issuer to redeem the bond at any time after 10 years. The call price at which the bond will be redeemed will normally be above the face value with the difference shrinking as maturity is approached. This feature allows the issuer to restructure his liabilities or refund a high-cost debt and convert it into a low-cost debt. It is the opposite of a Callable bond. It allows the investor to sell it back to the issuer prior to the due date, at the discretion of the investor after the lapse of a certain period of time from the date of issue. However, the investor for enjoying this privilege has to receive a lower yield. The feature of this type of bond is that instead of returning the entire amount at maturity, the issuer will repay a fixed amount of the principal each year so as only a small amount remains repayable at maturity. These types of bonds are generally issued by companies with a low credit rating and are deemed risky. As its name implies is a bond with varying coupon.Periodically (typically every six months) the rate of interest payable for the next six months is set with reference to a market index such as LIBOR. In some cases, a ceiling may be put on the interest rate (capped FRNs), while in certain other cases there may be a ceiling and a floor. ( collared FRNs). It is very similar to the cumulative fixed deposit schemes offered by companies or banks. The bond is considered risky and bought by the investor at a substantial discount from its face value. The advantage of this bond is that an investor can redeem the face value of the bond at maturity. One possible advantage of this type of bond is in its tax treatment. The difference between the face value and the purchase price is deemed to be entirely capital gains and taxed at a lower rate than the rate applicable to regular interest received on coupon bonds. These are bonds that can be exchanged for Equity shares of the issuing company. The conversion price determines the number of shares for which the bond will be exchanged. As a fixed interest instrument offering a coupon which is paid annually or half-yearly, bonds can be an attractive tool to generate a steady income. They are also considered as a safe investment when compared to shares. Thus bonds are preferred by all kinds of investors especially those who require a regular income and whose risk appetite is not very high. However, investors need to be aware of some risks and pitfalls when they take a decision to invest in bonds. Bonds issued by Governments have the sovereign guarantee. The relationship between interest rates and bond prices are inversely proportional. When the rate of interest increases the prices of bonds generally fall and conversely when the interest rate falls bond prices increase. This happens because when interest rates are on the decline the tendency of the investors is to lock in their investments at higher rates. The psychology of the investors would be to scoop up existing bonds which pay a higher rate of interest than the rate of interest prevailing in the market. This resultant increase in demand translates into an increase in the price of bonds. On the flip side if the reverse were to happen the tendency of the investors would be to dump the bonds that pay a lower rate of interest. An investor owns a bond that trades at par value and carries a yield of 4%. Supposing the prevailing market rate of interest increases to 5%, investors will want to sell the bonds offering 4% in favour of bonds that fetch 5%. The net result would be that the bonds fetching 4% will be quoted below par. Another risk faced by investors when they invest in bonds with a call option is the reinvestment risk. In a falling interest scenario, the issuers of bonds with a call option will exercise their option. The reason for this exercise is to reduce high-cost borrowing and convert it into a low-cost borrowing which is beneficial to the company, but the investors who have redeemed their investment are left with no choice other than invest in current market rates which are lower. However to compensate for this risk investors receive a higher yield on bonds which do not have a callable option. Investors who are very active in investing in the bond market can attempt to mitigate this reinvestment risk in their portfolios by staggering the potential call dates of their multiple bond investments. This strategy thus limits the possibility of several bonds being simultaneously called by the issuers. Another major risk faced by the investors is on account of inflation when they decide to invest or a longer time horizon. The investor commits to receiving either a fixed rate of return or a variable coupon for the entire duration of investment or as long as they decide to hold it. But the real risk is that cost of living and inflation may rise quite dramatically when the economy is growing exponentially or at a rate faster than the income investment. In such a scenario which is very real, the investors will see an erosion in the value of their investments and actually achive a negative rate of return. Explaining in simple terms if an investor is receiving 4% on his bonds and the rate of inflation is 5% the investor gets a negative rate of return. ie - 1%. Investors also have to contend with credit risk or default risk by the issuers and take a conscious decision before investing in bonds. A bond can be defined as a financial instrument which is similar in characteristic to a debenture or a bond. It is a fixed interest income security wherein the investor invests or advances money to a company which issues the bond. The bond is issued for a fixed period of time, at the maturity of which the investor can redeem his invested funds. Bonds are invested either at a fixed rate of interest or a floating rate of interest. So the investor has the option to take a view of the interest rates and then make a choice. Bonds are issued by Companies, Sovereign Governments, Municipalities and state Governments also to raise finances for developmental activities. The money so raised is also utilized to finance a variety of projects and activities. The owners of bonds are termed as debt holders or Creditors of issues. How Bonds Work: Whenever a company or any other entity is in need of funds either to maintain ongoing operations or for expansion, they issue bonds and approach the investors directly instead of approaching a bank for a working capital loan or a loan for the acquisition of fixed assets. The company or the Government which is the indebted entity (Issuer of the Bond) issues a bond which is basically a contract which clearly states the rate of interest payable on the bond and the time at which such loaned funds by the investor will be returned back to him. ( Maturity). The rate of interest payable on a bond is generally referred as the coupon rate which is the return the investors can expect on their investment. Normally when the corporate or Government approach the investors with a new issue the bonds are always issued at par usually Rs 1000 or USD 1000. One feature of a bond which distinguishes itself from a fixed deposit is that it is tradable on the secondary market as it is listed on the secondary market. This provides a lot of liquidity options to the investors. The actual market price of a bond depends on various factors which include the credit quality of the issuer, the tenure of the bond, the coupon rate offered by the issuer as compared to the prevailing rate of interest in the market. A fixed coupon rate bond will offer the same rate interest over time its market price will fluctuate depending upon whether the coupon it offers has become undesirable or desirable in comparison with the rate of interest prevailing at that point in time. For example, a bond for INR 1,000 or USD 1000 issued at par at a coupon rate of 5 % will fetch an interest of INR 50 or USD 50 annually. If the prevailing market rate is also 5 % the bondholder would be indifferent to purchasing the bond or saving the same money at the prevailing are of interest. However, if the prevailing rate of interest drops to 4 % the bond will continue to pay interest at 5 % thus making it an attractive option. Investors will start evincing interest by purchasing the bonds bidding the price up to a premium until the effective rate of the bond will become equal to 4 %. On the other hand, if the interest rate increases to 6%, the 5 % coupon is no longer attractive and the bond will decrease in value and the holders will start selling at a discount till its effective rate reaches 6 %.